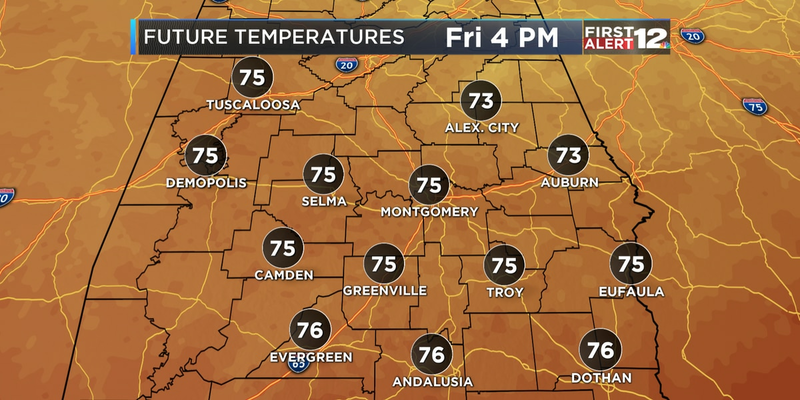 MONTGOMERY, AL (WSFA) - Temperatures aren't the only thing heating up... so are the tropics! It was another hot day across central and south Alabama with highs in the low 90s and heat index values close to the triple digits in places. A few of you experienced spotty showers this evening, but more of you stayed dry and warm. Sunday will be similar to Saturday, with heat, humidity and a few storms. Scattered showers and storms are more likely in the late afternoon hours, but again, more of you will stay dry and hot tomorrow. Temperatures will reach the low 90s but feel like the mid to upper 90s during peak heating hours. 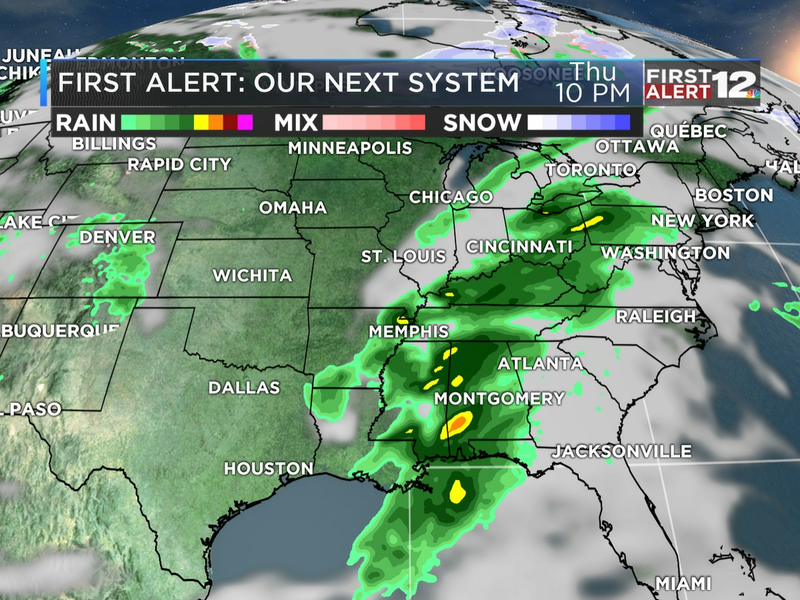 Rain chances return to the forecast early this upcoming workweek. A weak frontal boundary will stall and pull moisture into the area, so showers and thunderstorms are likely Monday through Wednesday. Tropical Storm Florence is continuing to strengthen and is expected to become a hurricane within the next 24 hours. Florence could develop into a major hurricane by Monday, and will move between Bermuda and the Bahamas Tuesday and Wednesday. Florence will then approach the southeastern U.S. coast on Thursday, possibly as a major category 4 hurricane. It's too soon to know the exact timing, location and magnitude of the storm, but anyone with interest along the southeast U.S. coast needs to keep a close eye on the storm. Tropical Storm Isaac formed in the Atlantic late Saturday afternoon. Isaac is strengthening and sustained winds are currently at 50 mph. Isaac will likely become a hurricane by Monday, strengthen into a category 2 by Tuesday, then become a category one again Wednesday when it starts to approach the Lesser Antilles. It's too early to speculate on it's eventual destination after crossing the Lesser Antilles, however this storm bears close watching. Tropical Storm Helene will likely strengthen into a hurricane over the next 2 days, then weaken once again. The current forecast cone has it turning north and not becoming a threat to the U.S.